After being rescued from the seas around Neverland, Baelfire found himself under interrogation from Captain Hook. He never met Killian Jones, who kidnapped and killed his mother, but Hook definitely recognized Rumpelstiltskin’s son, when he learns his name. Hook welcomed him to the ship with open arms. In Storybrook, Mr. Gold fantasizes over ways to kill Henry, since Henry was prophesized to be his downfall. When David and the others arrive, he stops and explains that he wanted to spend some time with Henry while Neil didn’t want him around. David and Mary Margaret explain to Gold what happened to Neil while Emma tells Henry. Grief-stricken, Gold explains that he brought magic to this world to find Bay. It’s his fault that his son is dead. Having recovered mostly from her ordeal, Regina is relieved to see Henry when he and the others arrive. They feel a shockwave that signals the activation of the diamond. Regina explains that because Henry was born in the real world, he will survive the spell but he realizes that no one else will and he’ll be alone. He doesn’t want that, so he makes them agree to work together. That’s when Hook arrives to offer to help them. It seems he’s not as willing to die for his cause as he indicated. He’s willing to put his revenge against Rumpelstiltskin aside if it means saving his own skin. In Neverland, some very spooky Lost Boys approached the Jolly Roger and boarded it, to search for their missing prize. Hook hid Bay from them, and despite a thorough search they failed to find him. But they warned Hook that if “he” learned that Hook lied to him, he would come and rip his show away. And it would hurt. It would hurt badly. Once they were gone, Hook brought Bay out of his hiding place. Bay remarked that he thought pirates only cared about themselves. Hook told him that he had a lot to learn. Gold returns to his shop to find the dwarves seemingly looting it. It turns out that they were looking for Sneezy’s drinking stein so he could drink a potion from the Blue Fairy. She figured out the solution to the memory problem just in time for everyone to die, Gold points out. But Grumpy still gives him a dose for Belle. She once helped him remember who he was (season 1 reference) and he begs Gold not to let her die as Lacey. Bay did well on the Jolly Roger. Hook even taught him how to steer the ship. They bonded over their absentee fathers. Hook tells him about his own father, who turned out to be a fugitive and who abandoned him in the night. Touched by the personal story, Bay told him about Rumpelstiltskin’s transformation into The Dark One. He explained about the dagger, and how it was the only weapon that could kill the Dark One. This was valuable information for a man obsessed with revenge. Hook leads David to Tamara and Greg who have the magic beans, where David demands the beans back. The four of them get into a fight and they escape with them. Most of them, at least. Hook managed to get one and he encourages David to live to fight another day. David says they are not friends and takes the bean to return to his family. Emma and Regina reach the diamond, and Regina says she will stall the spell as long as she can but it will take all the strength she has. Emma realizes that she intends to die doing this, and that when she told Henry goodbye, she was really saying goodbye. She says Regina does not have to do this, but Regina explains that everyone – even Henry – sees her as the Evil Queen. She wants to die as Regina. Reluctantly, Emma leaves her to do what she must. Gold decides to give Lacey a chance to be Belle again. He repairs the chipped cup that she broke and pours the Blue Fairy’s tonic into it. Lacey drinks the potion and her memories return to her. She greets Gold with a kiss. Gold explains that he didn’t want to wake her up only to die, but he needed her there. She tells him that she’s so sorry about his son, and they embrace, crying together. Regina also points out that they don’t know if the portal idea will work, but Henry says they have to try. Yet when Emma opens the pouch that should have the magic bean in it she finds it gone. Hook double crossed them and now he sails away from Storybrook with the bean in hand. When Baelfire found a drawing of his mother on Hook’s desk, he realized that Hook was the pirate his father told him about. The one who took Mila away and ruined their family. Hook tells him what really happened and explained that he wanted to build a family with Bay, but Bay doesn’t care. By running away with his mother, Hook ruined his family as if he had killed her. He told Hook that he wanted to go home, but Hook told him that it was impossible to leave Neverland. So Bay decided that he would rather fend for himself than stay with the man who drove Rumpelstiltskin to the darkness. He wanted off the Jolly Roger no matter what. So that night, Bay packed his things and was ready to be dropped off anyway. Hook pleaded with him to stay, saying he could change, but Bay stated that he couldn’t because he only cared about himself. So Hook let the Lost Boys take Rumpelstiltskin’s son away, hoping to gain “his” favor. While Hook sails away from Storybrook, Regina is running out of strength. Emma embraces Snow White and Prince Charming, the parents she only got to meet. Regina apologizes to Henry for not being strong enough to keep him save. Them Emma remembers that she has magic too. Maybe Regina isn’t strong enough, but they might be together. Combined, their powers are enough to…short out the diamond. The spell retreats and everyone is alive. Henry, however, is nowhere to be found. They find his bag, and Emma realizes that Tamara and Greg took him. They explain to the boy that they came to Storybrook to destroy magic but, after arriving, they found something even more important; something that could change everything: Henry himself. Emma and the others arrive just in time to see Tamara and Greg disappear with Henry down a portal. Gold and Belle arrive just as Hook returns. The gang makes a plan to go find Henry and Gold leaves Belle behind to take care of things in Storybrook, but she realizes that he doesn’t plan to come back and leaves in tears. As the second season ends, Aurora, Mulan and Prince Philip find Neil washed up on their shore. Regina, Hook, Gold, and the Charming Family make a truce to find Henry and discover that Tamara and Greg took Henry to Neverland. We learn that Peter Pan and the lost boys were not looking for Baelfire, but for his future son. As Gold warns the others that they’re about to face someone worse than they’ve ever faced before, the Jolly Roger disappears through the portal, and into Neverland. Once upon a time (see what I did there? ), Baelfire tried to rescue his father from the darkness. What he did instead was abandon Rumpelstiltskin in the Enchanted Forest and escape to a world without magic by himself. He wound up in London, during a roughly Victorian age, and found himself in for a difficult haul as a homeless orphan. One day, he snuck into a big house in search of food. He found some bread, only to be caught by a young girl and her Saint Bernard. The girl saw that he was hungry and offered him as much bread as he wanted. After determining that Bay was an unusual name, the girl introduced herself…as Wendy Darling. In Storybrook, many years later, Neil wakes up one day to the sound of a ruckus outside. He goes out to find his father (having suffered some sort of personality break after learning that Belle is now a bar-fly named Lacey) beating up Dr. Whale/Victor Frankenstein for giving Lacey a bad look. Neil pulls him off of Victor and tells him that this is pretty typical. He says that he’s staying in Storybrook for Henry, not for Gold, and for Gold to stay away from them both. Meanwhile, Emma, Mary Margaret, David, and Henry break into Regina’s office, looking for the magic beans (which were discovered to be stolen last time). They learn that Regina did have them in the office, but they’ve been taken again since then. It turns out that Tamara has the beans, along with the failsafe that Regina retrieved from Maleficent. She takes off to look into taking something, leaving Greg alone with Hook and Regina. Hook decides that he’s not interested in torturing the Queen and leaves as well. Greg hooks her up to an electroshock machine, stating that it’s how he deals with people like her. Back in London, Wendy hid Bay successfully for several weeks before her parents caught him. Because Mrs. Darling is one of the coolest moms in literature, she immediately invited him into their home as a member of their household. That night, Wendy and John gather at the window, waiting for a familiar shadow. When they explain about the shadow, he begs Wendy not to open the window again. He’s familiar with magic and he doesn’t want their lives to be hurt by it like his was. While Emma searches through Neil and Tamara’s apartment for evidence (since she’s still suspicious), David and Mary Margaret go to Mr. Gold for some help finding Regina. He gives them a spell that will connect Mary Margaret to Regina (allow her to see what Regina sees, feel what she feels, etc.). David’s hesitant to let her do this, but she insists that it will help ease her conscience. So he agrees and help her cast the spell. Mary Margaret instantly goes into convulsions, from where Regina is presumably being electrocuted, and David starts calling out her name, trying to wake her up. As midnight tolled in London, the shadow returned. Wendy told Baelfire about Neverland before she took the shadow’s hand and flew away, leaving him calling out for her as she disappeared into the sky. After a lovely scene where Emma and Neil go looking for Tamara on the beach (she convinces them that she just runs there, so the sand would not be a clue) and he apologizes to Emma for all that he put her through during Tallahassee, we learn what Tamara and Greg are really up to. We learn that they aren’t magic thieves, but are instead there to destroy magic. It seems that this is not the first time that magic has made its way into the real world, and they are part of an organization that has been fighting against it for a long time. The spell allowed Mary Margaret to get only a few glimpses, due to the pain that Regina is in. Still, one of those details was the smell of sardines, and that is enough to lead Emma to the docks. She tells Neil that she was right, and that Tamara is in one of the warehouses. Together, they race off to search for her. Baelfire waited for Wendy all night. The next morning, Wendy returns. She didn’t enjoy Neverland very much. The shadow held children in Neverland, never letting them leave no matter how much they miss their parents. The reason that the shadow let her go was because it didn’t want a girl. It only wanted a boy. So that night, the shadow planned to return to collect one of her brothers, in her place, that following night. Baelfire promised to protect her and her family from the evil magic, no matter what. Emma and Neil search the warehouse tensely, but all they run into is Mary Margaret and David. Tamara sees them wandering around on a camera. She wants to pack up and leave, but Greg demands more time to interrogate Regina. Tamara leaves, saying that she’ll meet him at the rendezvous point. Once she’s gone, Regina tells Greg that his father is dead, and that she killed him the moment that he ran away so many years ago. He doesn’t believe her, but she says that she buried him at their campsite. Greg turns the electricity back on, to hurt her again. In London, that night, after Mrs. Darling told her children goodnight, Baelfire got to work on his plan. He set a trap and lit all the candles. But the shadow got inside the house anyway, determined to take a boy back to Neverland with it. In order to save young Michael Darling, Baelfire volunteered himself to go to Neverland instead. And so he disappeared into the night, carried away by the shadow of a boy who would never grow up. David and Mary Margaret find Greg and Regina in time to stop Greg from killing her. Hearing Greg’s name, Neil figures that must clear Tamara. Being an evil supervillain, she knocks Emma out to prove him wrong. After revealing her evil plan (clearly, she did not read the “Things To Remember When I’m An Evil Overlord”), Emma wakes up and has a pretty awesome fight with her. Neil gets shot, Emma’s about to win. Then Tamara throws a bean, trying to send Emma away. Neil gets sucked into the vortex instead. Right after she and Neil realize they still love each other. The shadow took Baelfire far away, and tried to take him to Neverland. Bay escaped in the sea, and was rescued by a passing ship. The captain of this ship answered to Hook, and the ship was known as the Jolly Roger. As the episode begins, Tamara and Greg are trying to convince Hook to help them out. He, however, is under the impression that he killed Rumpelstiltskin already and his life’s work is therefore complete. They show him that Gold is, in fact, alive but promise to help him kill his nemesis on one condition: he must help Greg find his father, and use his personal knowledge of Regina to do so. Back in the Enchanted Forest, Regina has chased Snow White out of her castle, but the girl is still alive. She has traced her to a village, but Snow’s already gone. Regina tries to convince the villagers that Snow is a treasonist, murderer and bandit, but they will not budge. Even the promise of reward isn’t enough, so Regina orders that the villagers be slaughtered. Frustrated, she goes to Rumpeltsiltskin. It seems that the threat of an evil queen is just too much for the villagers to trust. So she devise a plan to get close to Snow White in disguise. She has Rumpelstiltskin disguise her as a peasant, so that she won’t be recognized as the queen. The catch is that she doesn’t have her magic while the spell is in place, and he has all the control over it. She doesn’t see this as a downside, though, since she plans to break Snow’s neck with her bare hands. In Storybrook, Regina overhears Mary Margaret and David plan to leave her in the real world when they and everyone else go back home. David compromises that they can offer her a choice – she can live out the rest of her days in a jail cell, or remain in Storybrook. Deciding that neither of these choices are acceptable, Regina comes up with a plan. She goes to Henry to explain. 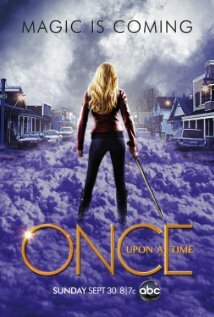 She plans to take him to the Enchanted Forest and self-destruct the curse – and Storybrook with it. The price is that everyone else will die. Henry is appalled, but Regina erases his memory of their conversation before he can tell anyone what she plans. In her office, Hook goes to Regina. He tells her about Greg and Tamara and tells her that he would much rather form an alliance with her instead. Regina tells him that her mother died, and Hook says that it’s all the more reason for them to work together. So she tells him about her plan to escape with Henry and offers to take him along if he’ll help her. She explains that they’ll be escaping the total destruction of Storybrook and, yes. Rumpelstiltskin will die. Emma has her suspicions about Tamara. When she tries to tell Mary Margaret about her concerns, she is inclined to think that Emma is just being paranoid because of her feelings for Neil. Emma insists that this isn’t the case, but Mary Margaret advises her to keep her feelings to herself, lest Henry think his parents are getting back together. Of course, Henry hears everything anyway. He asks if they’re going to investigate Tamara and Emma tells him to get his coat. Mayor Regina explains to Hook that she has a switch that will destroy the curse. So it’s down into her Super Secret Hiding Place they go to find it. Emma’s been down here before, in the first season, to collect some hidden magic. There was a guardian then, but she killed it. However, it seems that this guardian might not be as dead as we viewers thought. It seems that there’s a powerful spell that sustains this guardian. She needs Hook to be a distraction against this dragon (who is less of a dragon now) while she hits the switch. Maleficent is not happy, since her last visitor tried to kill her, and she’s going to give Hook a run for his oney. Meanwhile, Regina finds what she’s looking for: Snow White’s glass coffin. Inside, there’s a bag and inside that bag there is…an object I can’t see. Perhaps we’ll learn more after we visit the Enchanted Forest again. Queen Regina wakes in the care of Snow White herself. Snow is kind and trusting and generous. Regina is shocked that she knows how to hunt and is willing to risk her life to help a perfect stranger. Snow explains about the time when Regina saved her own life, and taught her that strangers could have real connections. Regina is touched by Snow’s genuine goodness, despite herself. Meanwhile, Henry and Emma begin Operation Preying Mantis. Emma breaks into Neil’s room to investigate Tamara, but Neil quickly catches her being kind of creepy. She explains her suspicions (that Tamara is the “she” that August warned them about) and he of course thinks that she’s being silly. Still, she found a loose floorboard and asks him to let her look under it. There’s nothing there, which just makes Neil pretty certain that he’s right and she’s wrong. Embarrassed, Emma takes Henry and leaves the hotel room. Queen Regina continues to see Snow’s goodness. She sees how Snow doesn’t hate her, still sees the good in her, and realizes that Snow might be the only person in the kingdom who believes that the queen can be anything but evil. Snow even admits that she would love to be invited back into the castle and would forgive Regina if she were invited. Then they find dozens of slaughtered villagers and Snow decides that she was wrong. Regina slips and gives herself away, trying to defend her own choices, and Snow almost kills her but Regina gets away. Mayor Regina is surprised to get back to her office only to find that Hook made it back safely himself, escaping Maleficent. He tells her that it’s a shame that she betrayed him, because he had almost decided not to betray her. He reveals Tamara and Greg, who plan to do what they do best: Kill a magical creature. She can’t do magic, she can’t defend herself. Greg is not going to tell her what she wants, and they have her captured and defenseless.